Walking down AJ’s Way two weeks ago, I immediately knew this would be a great year. All the smiling, familiar faces from friends and professors welcomed us home to Gannon with open arms. Despite feeling the incredible welcome back to campus, some students may struggle navigating the adjustment back to the academic life. To be honest, I find myself struggling with working out my schedule for classes and extracurricular activities. The stress of the unknown has been weighing on my shoulders these past few days. What will these new professors be like? Will I be able to manage class, clubs and work? The questions poured through my head that was once filled with a sense of summertime laziness. However, through the nervousness and excitement of the unknown, I know that I can always turn to campus ministry to find a sense of peace. From Sunday morning Masses to late night events, opportunities to connect with others and with God are endless. 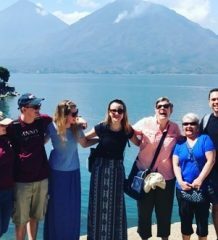 As a third-year student, navigating the stressors of college life would not be possible without the support of Campus Ministry. The Resident Campus Ministers helped me as an intimidated first-year student to grow in my faith and feel like I belonged here on campus. For others, Campus Ministry provides an outlet to meet new individuals on campus. “It has led to friendships with so many different people around campus that I normally would not have met without attending the amazing events,” said junior physician assistant student Annmarie Rosa. This year, many of the events will be run by students, for students. Programs and activities will be available for all individuals from all faith backgrounds. Interested in connecting to other individuals from your faith background? Two groups on campus hold weekly gatherings to discuss topics and socialize with others. The Catholic faith sharing group, Ichthi, meets on Thursday nights. For any Protestant students, there is a group called Restore that meets Wednesday nights at 8 p.m . If you do not have time to meet in the evenings, a wonderful worship opportunity is available each month. The Well is a gathering held each month for students, faculty and staff members to come together for an hour of worship in the midst of their busy days. There is great music, great food and even better company. 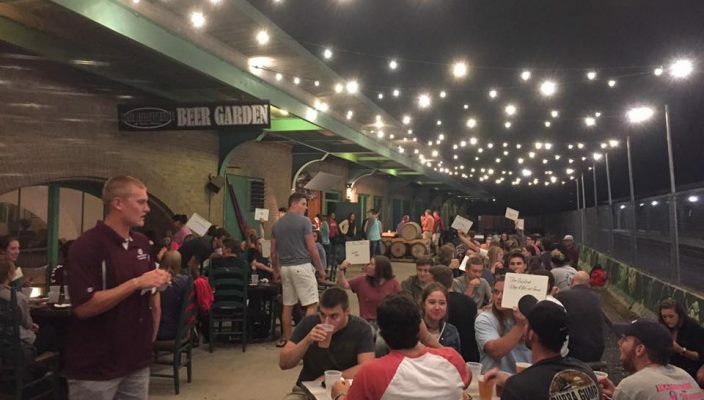 If you want a more intellectual discussion outside of the Gannon scene, then Theology on Tap is the perfect event for you. All interested students meet up and travel to a local Erie venue for a night of conversation and great company. 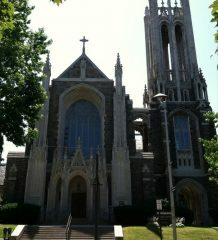 Along with these great events, there are on-campus Bible studies and Masses held at Mary, Seat of Wisdom Chapel. Whatever you are looking for, there is a place to belong in Campus Ministry. Take advantage of the opportunities that await you on campus in your own search to find God. For more information on all Campus Ministry events, contact Rachel Nye at nye005@knights.gannon.edu.